United kingdom, EU, USA, Australia, New Zealand. We are now also transporting motorbikes to Namibia, Botswana and Zambia via road freight. 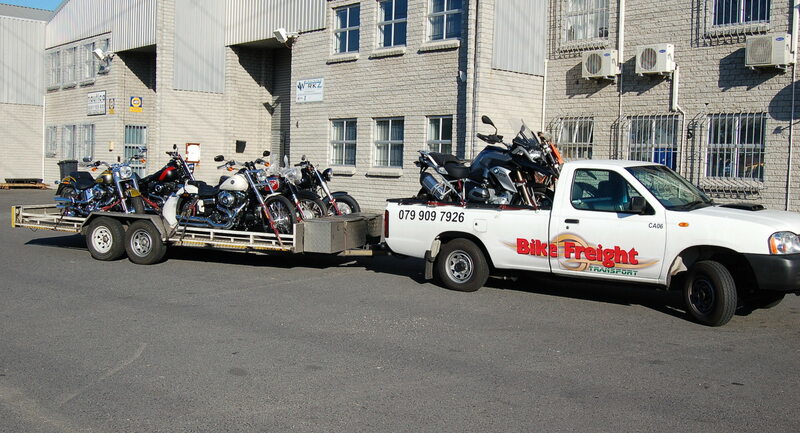 Bike Freight Transport is the largest by volume & turnover specialised motorcycle transportation company in South Africa. Motorcycle Transport. Bike Transporting. Motor bike Transport. Bike Freight Transport was established in 2010 as Bike RnR. 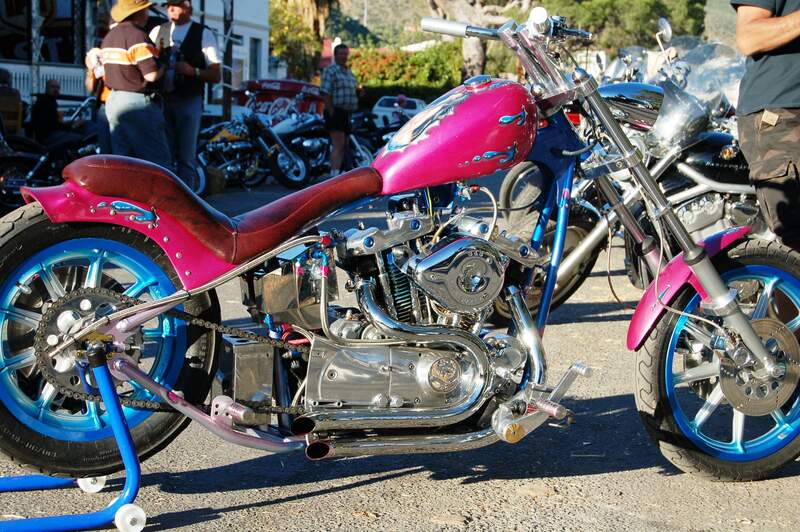 Specialising in motorcycle transport. With just one, two bike trailer and a Dodge RV. Driven by myself and managing the business from the road. Bike Fright Transport entered into a lees agreement in 2012 with Budget Van Rental, for the supply of various tow vehicles. These comprised Toyota, Ford, Nissan and Isuzu over 2012 to 2014, ending up with two Nissan NP300 LDV. It was this experience that led to the purchase of the four Nissan NP300 2.5Tdi we now have. 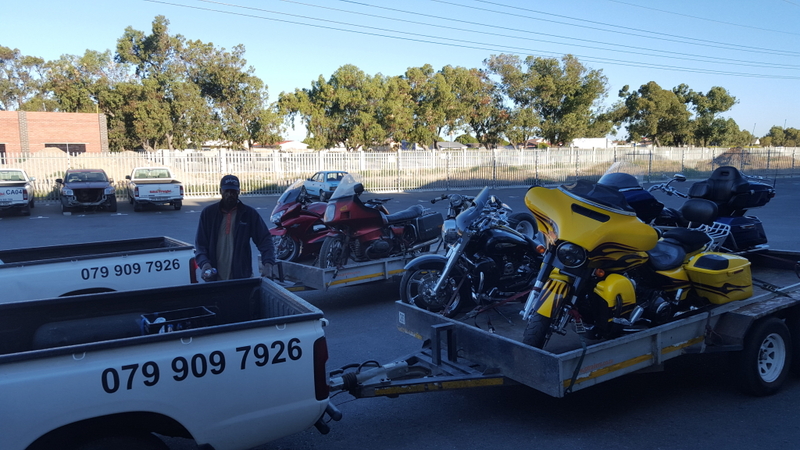 Bike Freight Transport (Pty)Ltd was formed in July 2014 as by now we had four LDV and two trailers custom made for purpose. Two drivers running weekly trips between Cape Town, Durban and JHB. 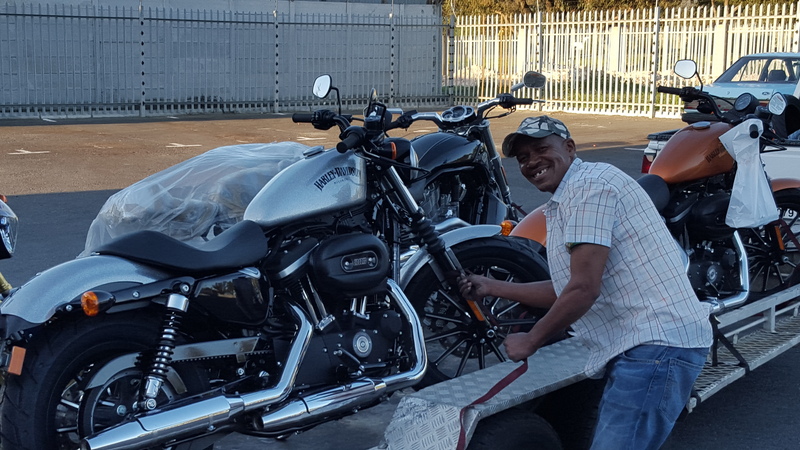 Bike Freight Transport was VAT registered in January 2015 through the compulsory registration process as our turnover had reached over R1,000,000. Bike Freight Transport operates four Nissan NP300 2.5Tdi long wheelbase LDV which are all kept below 100,000 km for reliability and economy. Bike Transporting. 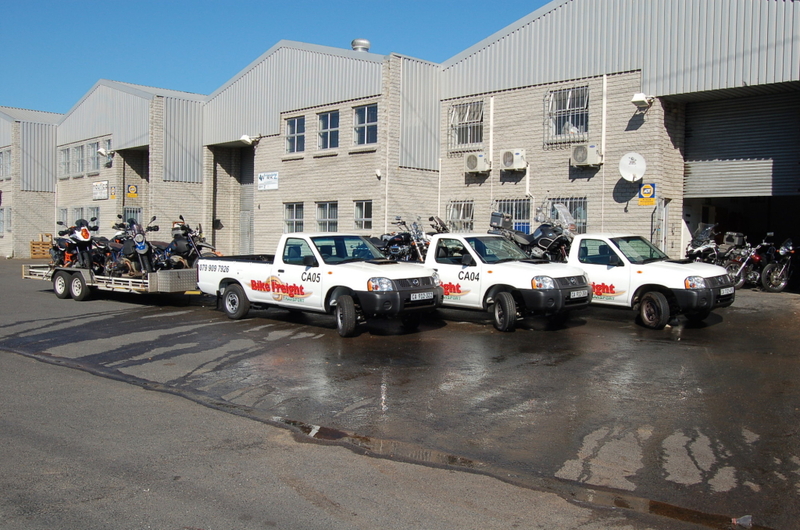 Bike Freight Transport is based in Cape Town at our depot in Edgemead and runs a regular service between Cape Town to Durban and JHB every week. Leaving Cape Town around mid week and turning around in JHB on Saturday/Sunday for the return trip to Cape Town, getting back to Cape Town early in the new week. Bike Freight Transport is currently sourcing new accommodation in Johannesburg for our new depot. Bike Freight Transport staff are well trained experienced drivers who’s mission it is to look after and transport motorcycles as if it were their own. 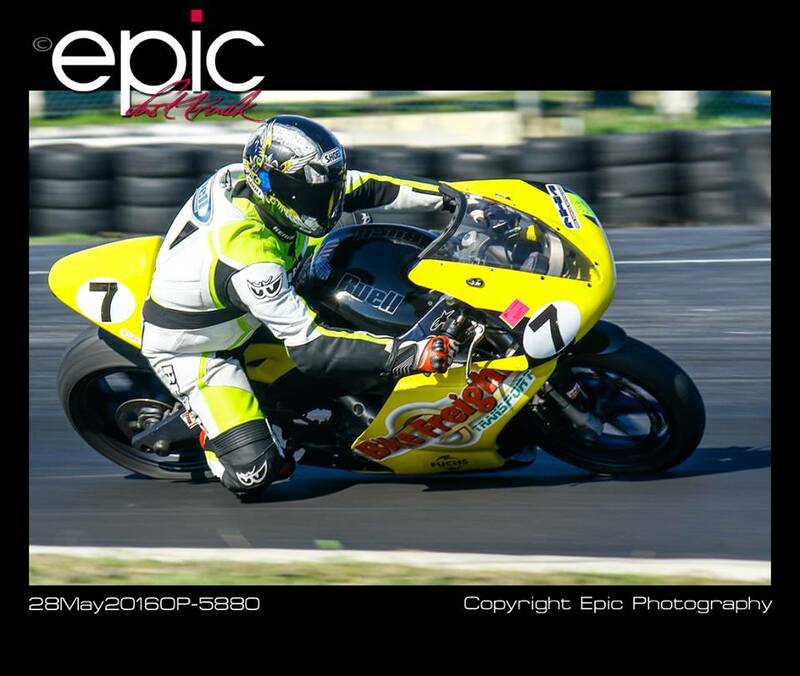 Bike Freight Transport is the main sponsor of Peter Baker in Western Province regional Botts and Superbike racing. His Buell 1125rr is back and ready for racing. He will be campaigning his #7 “Lucifer’s Hammer” in the 2019 season. See our blogs for updates! “Peter, Thanks a mil for going out of you way, much appreciated. I would like to thank Bike Freight for the professional service in transporting our scooter from Johannesburg to Jeffrey’s Bay. We found the iTrack facility especially convenient. It is wonderful to work with an organisation that provides the service it promises – thank you. Bike Freight will be our first recommendation to any of our friends or colleagues looking for bike transportation. Very heart sore to hear about the tragedy. Very happy to hear that you where not injured and the bikes where replaced. Keep up the good work. You are an invaluable assist to our industry. I hope that you had a good weekend? My bike arrived on Saturday afternoon, and I would like to thank you for the great service. I will definitely recommend your service to friends if they ever need to transport their bikes. Thanks a lot. This was the second delivery to me during the past 7 months. Again it went off smoothly. A bit of a hickup with the initial invoice, as you know, but you did correct that last week. I’d like to complement your driver, Allen, for his suitable manners and communication on the way and when he arrived, plus delivering in good fashion. I’m thinking of flying back to Jhb on the 14th but will be commuting on the bike the 16th again. So I guess my main concern is to have my bike before Monday the 16th in Jhb. Last year, your driver dropped it off at my place so when I returned it was there. Just a note to say thank you to you and your team for transporting the the Yamaha 350 from Pietermaritzburg to Knysna in December for me. I really appreciate it and well done a job well done. May 207 be blessed one to you all. In today’s age, people are quick to complain but hardly say Thank You. I just want to say Thank You for the incredible service that I have received from You and your company. I will most definitely use your services again and suggest your company to anybody in need of your services. Please also thank Max for me, That Man is AWESOME!